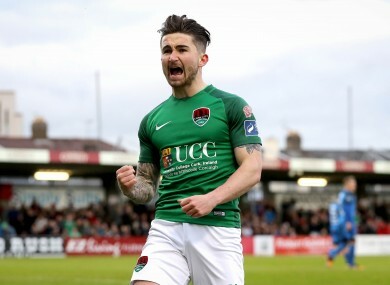 Sean Maguire and other individuals who deserve a call-up from Martin O’Neill. Seán Maguire has been in excellent form for Cork recently. THE 23-YEAR-OLD striker has been in scintillating form for Cork this season, scoring 11 goals in 13 games. With the likes of Kevin Doyle, Shane Long, Daryl Murphy and Jon Walters all the wrong side of 30, the Irish team could do with a more youthful option up front. Martin O’Neill has not been afraid to put faith in League of Ireland players before — Gary Rogers, Daryl Horgan and Andy Boyle have all received call-up while they were each playing for Dundalk. Maguire lacks the experience of playing in the Europa League group stages that those players had, but his performances this season and last (when he was the Premier Division’s top scorer with 18 goals) suggest he is good enough to play at a higher level. Ireland aren’t exactly blessed with an abundance of young, technically gifted midfielders at the moment, but Kelly certainly fits the bill. The 21-year-old Basingstoke-born player was linked with a number of Premier League clubs last year before ultimately signing a new contract with the Royals. The starlet has played a key part in Reading’s promotion push this season, featuring 32 times in all competitions for Jaap Stam’s side. He also made the provisional squad for the Ireland games against Wales and Iceland, but a hamstring injury meant he was unavailable once the final group was picked. Having been a regular starter in the early part of Martin O’Neill’s reign as Ireland boss, Marc Wilson has fallen out of the picture entirely of late. A knee problem ruled him out of Euro 2016, while continuing niggling injuries have restricted his game time at both club and international level recently. Consequently, it’s been well over a year since he last featured competitively for Ireland, coming on as a substitute in the Euro 2016 playoff away leg against Bosnia. Back in August, Wilson played 90 minutes in the 4-0 friendly win over Oman, but the defender has yet to play a minute of action in the World Cup qualifying campaign. Following a disappointing spell at Bournemouth in which he played just three games overall, the player joined West Brom on loan in the January transfer window. After a slow start, the 29-year-old featured in the Baggies’ recent draw with Burnley, while he came off the bench in their defeat to Chelsea on Friday night. The former Stoke player may not be the most glamorous name, but with Matt Doherty and Greg Cunningham both suffering season-ending injuries in recent times, coupled with Seamus Coleman’s well-documented setback of late, Ireland are short of options at full-back. Wilson is a tried and tested player who can slot in there if needed, while his versatility in being able to play across the backline is another plus. Email “3 players we'd like to see included in tomorrow's Ireland squad”. Feedback on “3 players we'd like to see included in tomorrow's Ireland squad”.